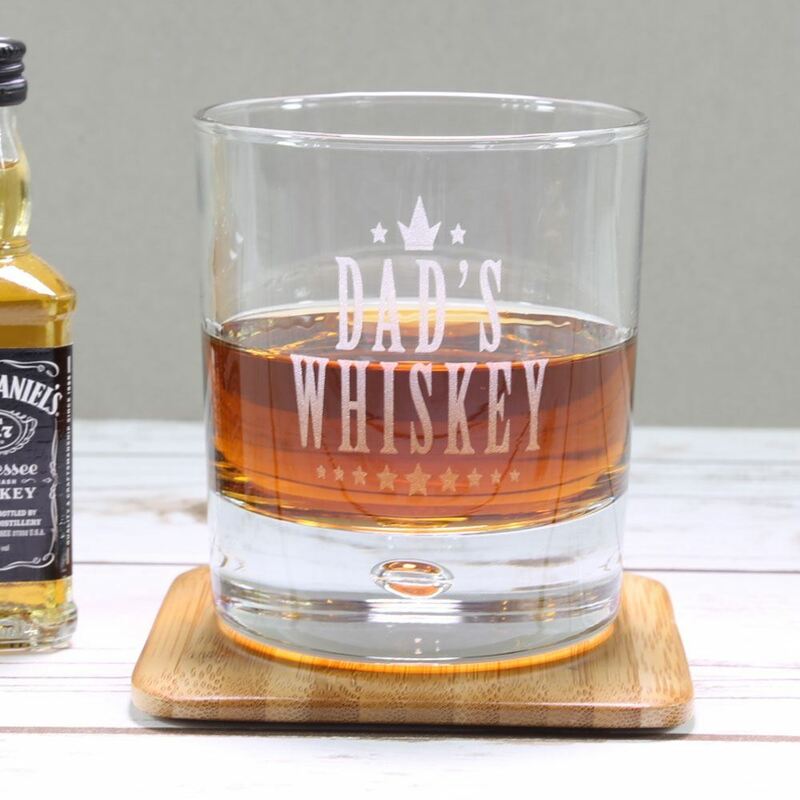 If you know someone who loves whiskey then this is a great glass for them. 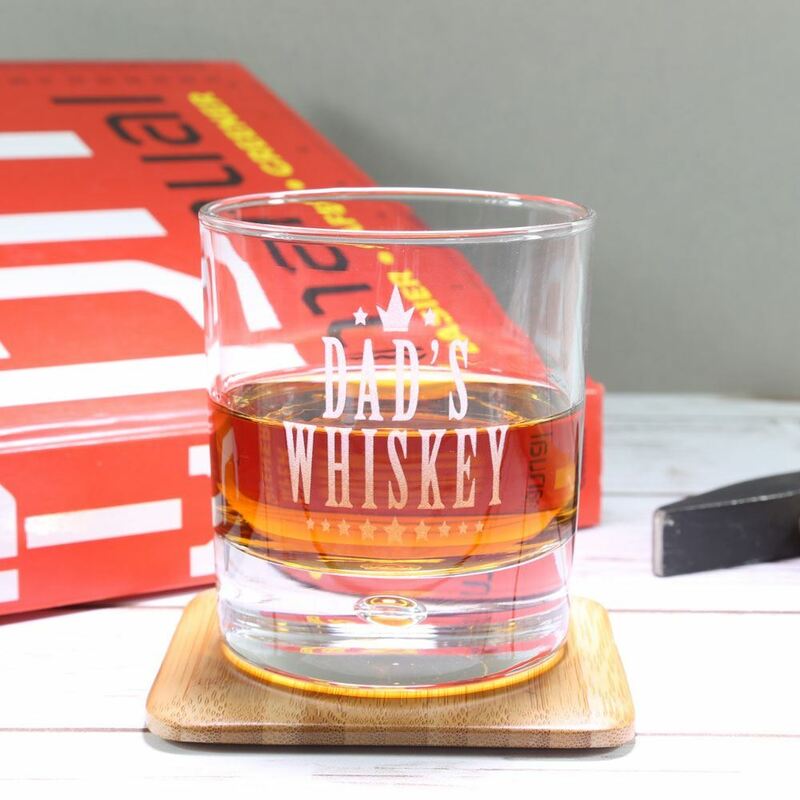 Etched with their name and a star design, this chunky short glass is perfect for whiskey, with or without rocks! With a thick base featuring a bubble design. 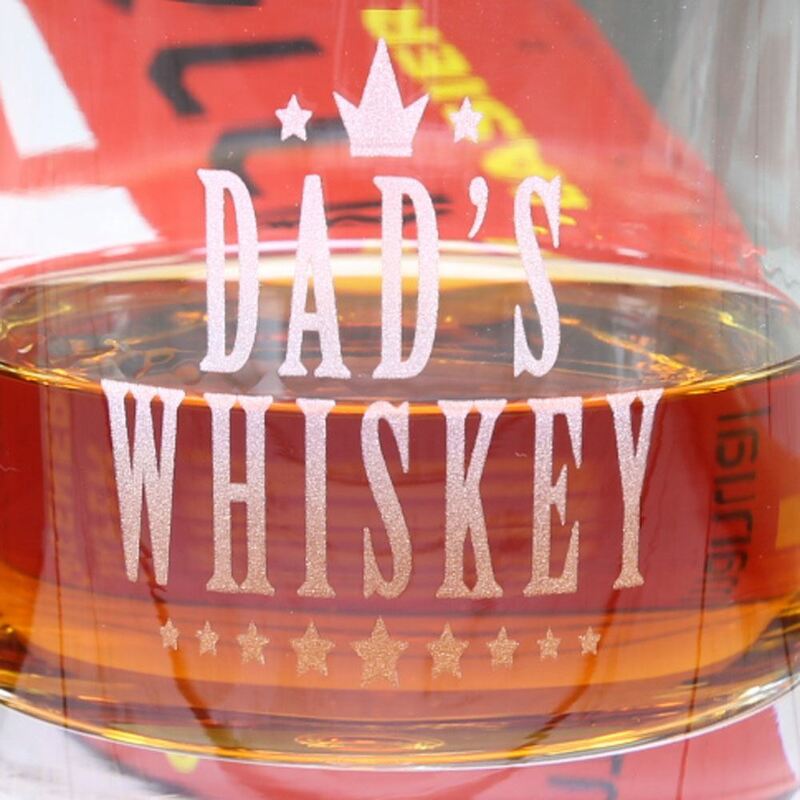 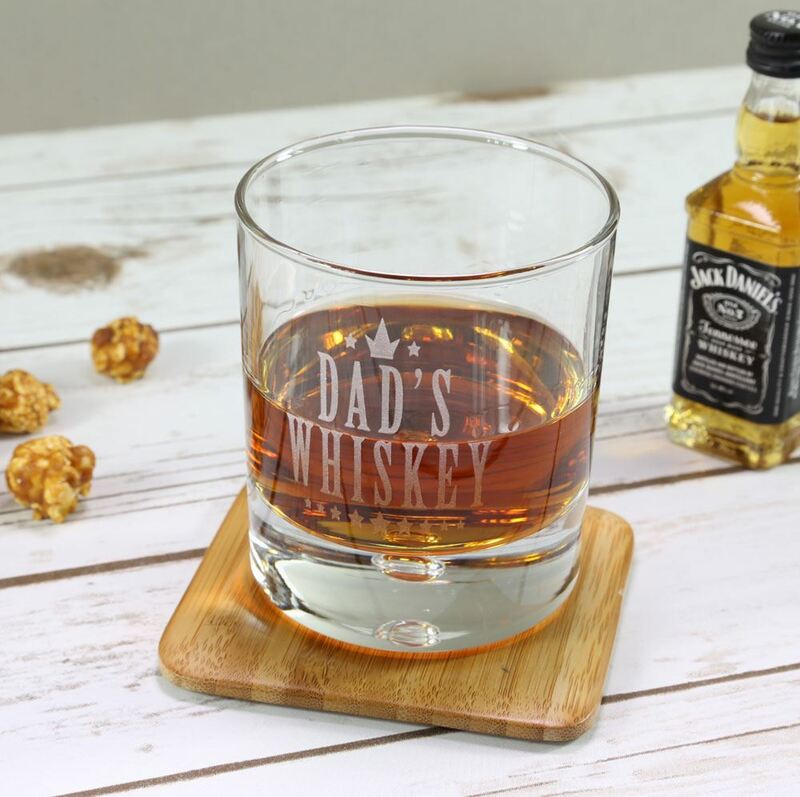 If you would prefer a name rather than "dad" on the glass please let us know in the comment box when you order.